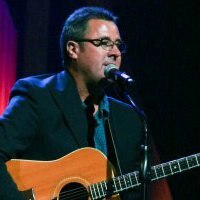 Vince Gill will headline and host “String Fever,” a concert benefitting the Tennessee State Museum Foundation on Thurs., Dec. 12 at TPAC’s Polk Theater. He will be joined by an all-star cast of 20 top musicians including Phil Brown, Larry Carlton, Steve Cropper, Duane Eddy, Steve Gibson, Rory Hoffman, Johnny Hyland, John Jorgenson, Colin Linden, Jack Pearson, Al Perkins, Andy Reiss, Marty Stuart, Guthrie Trapp and Steve Wariner. The back-up band includes multi-talented players Peter Abbott, Kenny Greenberg, Jon Jarvis and Michael Rhodes. The benefit concert is presented by the Tennessee State Museum Foundation in conjunction with the exhibition, The Guitar: An American Love Story. Performance will begin at 8:30 p.m. Reserved seat tickets start at $52 here or by calling 615-782-4040. Group and VIP ticket packages are also available. Ricky Skaggs will headline the 15th annual Concert for Cumberland Heights on Dec. 6 at 7:30 p.m. at the Ryman Auditorium. 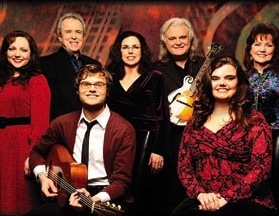 The show will feature Skaggs along with acclaimed trio The Whites, which includes his wife Sharon, sister-in-law Cheryl, and father-in-law Buck White. The evening will be a holiday-themed, variety-style show titled “A Skaggs Family Christmas,” featuring holiday classics and newer Christmas music. Tickets are on sale via the Ryman box office and all Ticketmaster outlets.